Selecting wedding invitations is such an an important part of planning a wedding – they are the unique way that you request those you love tо participate in the wedding. Your wedding invitations serve as a treasured heritage for married couples in the years to come, so it’s important to choose the perfect wedding theme and design to create a beautiful invite. A unique theme helps catch guests’ attention, making them more interested in taking part in your special day. There are so many benefits to creating your wedding invitations online. It saves time and money and you can customize them exactly the way you want them and let your personality shine, giving you the freedom to put your own personal spin on your invite. You’ll have complete control over your wedding invitations. including the format, layout, heading, font, typeface and wording of your invitation and you also play a vital role in the design. 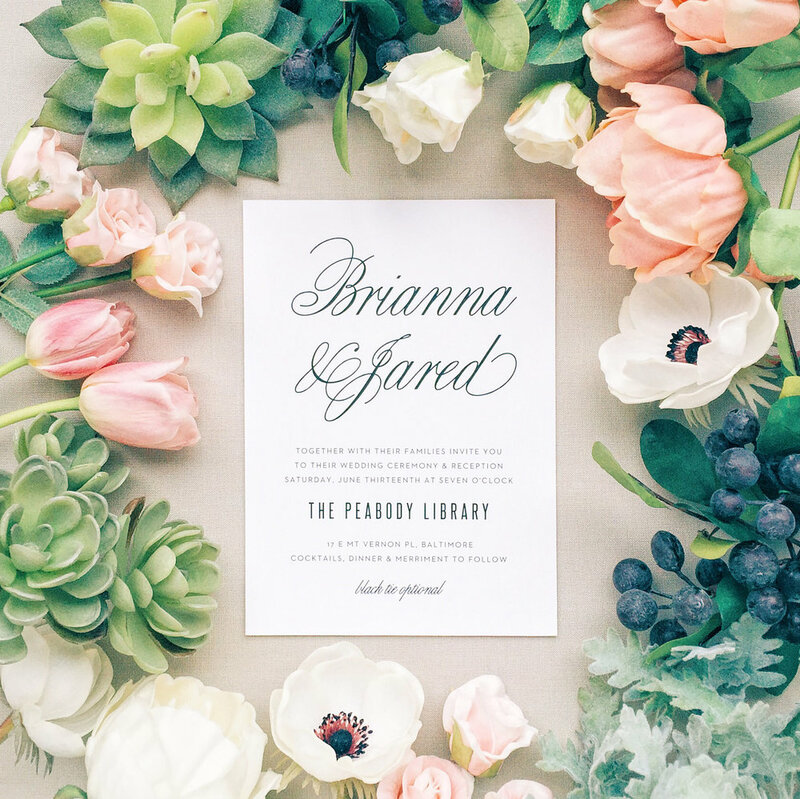 Posh Beauty Blog highly recommends Basic Invite for online wedding invitations. Basic Invite is an innovative stationery design company working hard since 2006 to bring brides and grooms the best custom wedding invitations around. Basic Invite is a great place to design wedding invitations online. They have so many customization options and tons of designs for couples with all different styles and tastes. Basic Invite is chic, beautiful and very easy to use. Almost Unlimited Colors - Basic Invite is one of the few websites that allows customers almost unlimited color options with instant previews online. Once you select a design you can change the color of each element on the card to over 180 different color options. So, you can make sure the card is exactly how you want it - down to the littlest detail. This is what we feel sets them apart from almost any other online stationery company! Over 40 Different Colors of Envelopes - Basic Invite is just as colorful with our envelopes as we are with our invitations. Customers can choose from over 40 different colors when it comes to their envelopes so that they can make their invitations stand out even before it is opened. All of their envelopes are peel and seal so the envelopes can be quickly and securely closed. Over 200 Wedding Invitation Sets - Each of their wedding invitations is part of a set. You can find everything from formal save the dates to wedding invitations and enclosure cards, wedding menus, wedding programs and even matching thank you cards! Basic Invite also has many wedding stationery products like their cute bridal shower invitations, custom guest books, and all of their adorable invitation accessories. Bonus: The disadvantage of using online invitation websites is that although you can see the invitations online, you can't really touch them like you can if they were in a display book. It can be hard to tell which website are reliable and deliver great work. Their photos my look great, but what do you they look like in person? Basic Invite provides custom samples. It’s one of the few websites that allows customers the ability to order a printed sample of their actual invitation so they can see exactly how it will print as well as the paper quality before they ever have to place their final order. 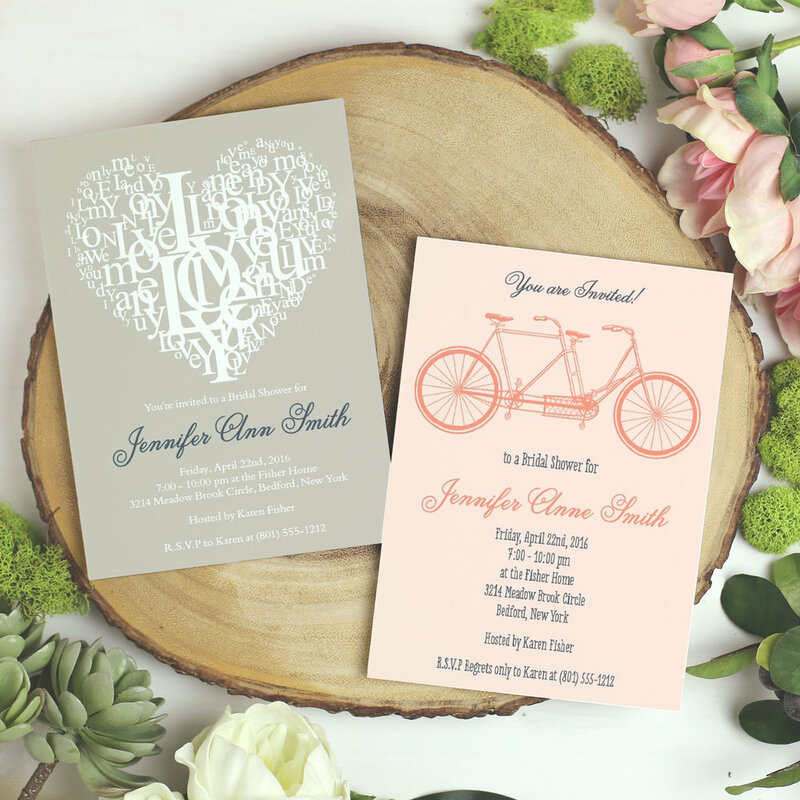 So if you’re planning a wedding for yourself or someone you love, consider designing your wedding invites online. And let us know if you’ve ever designed invites online and how the process went in the comments below! This blog post was sponsored by Basic Invite.